Drinking and driving is dangerous and reckless behavior that can potentially endanger the lives of innocent people. The penalties for a DWI differ by jurisdiction, but in New Jersey a third or subsequent conviction results in a ten year loss of driving privilege, a mandatory jail sentence of 180 days, and court fines and penalties over $1,300. New Jersey law requires 2 days of imprisonment for a second conviction and authorizes up to 90 days imprisonment. Driving privilege is suspended for a flat two years. A first conviction carries lower—but still harsh—penalties. I encourage most people to have me defend even a first conviction. Every third offender I represent wishes that they had defended against their first DUI charge. Even though I win the majority of such DWI cases, the process is much less risky and stressful for a client at risk for a second conviction rather than a third. See penalties for a DWI NJ. Some attorneys refuse to represent third offenders. I take on the pressure of defending the hard cases. I know what I am doing, and I am comfortable in the knowledge that I am the client’s best chance for the best possible result. 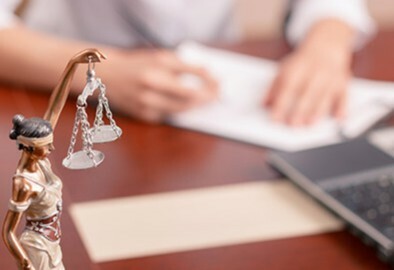 My DWI clients learn very quickly in the process of defending their cases how much I admire and respect them for acting on their belief in the system—and in me—by putting the State to its proof of the charges against them. My role as defense attorney is just as important as those of the judge and prosecutor. A zealous defense attorney makes for honest courts, ethical prosecutors and professional police agencies.